“Social development indicators have not been able to keep pace with economic development in this state of over 60 million people," UNICEF had observed about Gujarat back in 2013. Four years later, Maitreesh Ghatak of London School of Economics writes about Gujarat’s development model: “When it comes to social indicators, the shine of the Gujarat model appears to fade.” As the BJP gets the people’s mandate to govern the state for another five years, it must not shy away from accepting the truth—growth has not been inclusive. While it is argued that a state with high growth rate over a long period will eventually improve upon its social indicators as benefits percolate down to every sector of development, it has not been the case with Gujarat. 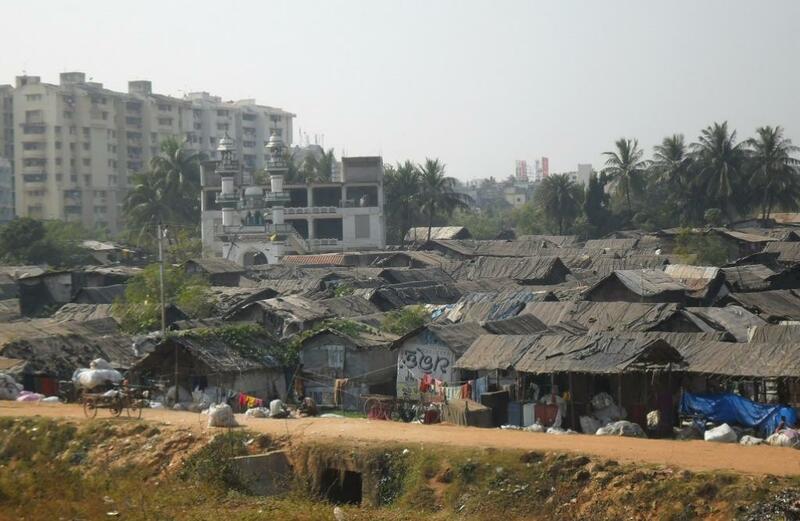 According to the 2011 Census, poverty rate in Gujarat is 16.63 per 1 million people. Rajasthan, Uttarakhand and even restive Jammu & Kashmir have lower poverty rate than this second-most industrialised state in the country with the fourth-highest gross domestic product. The latest Handbook of Statistics on Indian States by the Reserve Bank of India reveals the dark underbelly of inequality and poor performance on human development indicators. Shockingly, the state’s infant mortality rate (33 per 1,000) as of 2015 is worse than Jharkhand and much worse than Tamil Nadu (21 per 1,000). Access to education remains a key hurdle for Gujarat. In primary schools, student teacher ratio is 28: 1, which the fourth lowest in the country. The state has just 28 colleges for every 100,000 people. Its neighbouring Rajasthan, Haryana and Maharashtra are far better placed in this regard. The ratio of the number of females who are enrolled in all levels of state education to the number of males stands at 0.8. When it comes to crime against scheduled castes, the NCRB data suggests that the rate of total cognisable crimes (25.7 per cent) against SCs in Gujarat during 2015 is far higher than in Uttar Pradesh, Haryana and Jharkhand. According to the National Family Health Survey 2015-16, Gujarat is only ahead of Uttar Pradesh, Madhya Pradesh, Bihar and Jharkhand, when it comes to percentage of underweight children. More than 39 per cent of children in Gujarat are underweight as opposed to the national average of 36 per cent. The state is far behind Himachal Pradesh (21 per cent), the other state that went to polls this year. As many as 33 infants die per 1,000 live births in Gujarat, compared to 28 in Himachal Pradesh, according to the latest data from Sample Registration System Statistical Report 2015. In Gujarat, aggregate expenditure estimated for 2015-16 is Rs 137,519 crore, out of which Rs 57,900 crore (42 per cent) was for social sector. Jharkhand allocated about 50 per cent of its total expenditure to social sector in 2015-16. Similarly, more than 45 per cent of its total expenditure in Maharashtra was incurred on social sector development. Yoginder K Alagh, an economist and ex-union minister, quoted the numbers published by the Statistics Bureau of Gujarat State (distributed in 2016-17 budget) to highlight the fact that out of the 17,847 villages of the state, a little less than half (8,328) get Narmada drinking water and 1,832 villages get their water through tankers. While the Socio-Economic Review, Gujarat State, 2016-17 says that the state “aims to become a model State on all fronts of Human Development", these social development indicators certainly betray that commitment.